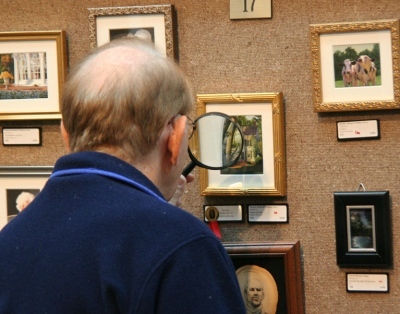 The Miniature Art Society of Florida (MASF), founded 1974 in Clearwater, FL, USA, encourages artists to become involved in the exciting world of miniaturism. It seeks to broaden the awareness of the public and collectors to the delicate beauty and refinement of this venerable art form. MASF scholarship efforts assist talented young artists of the future. MASF is a 501(c)3 organization. Donations made to the Society are tax deductible. All images &COPY; MASF and the respective artists. Artwork featured on this website has been awarded in a MASF Exhibition or is part of the Permanent Collection. Photos courtesy of Andrew Gott and Wes Siegrist. Miniatureartsocietyofflorida.com/miniature-art.com is the official website of The Miniature Art Society of Florida. All artwork, images and contents of this website are &COPY; Miniature Art Society of Florida and the respective Artists.